Being an eminent manufacturer & importer, we are engaged in offering Polyacetal Sheets. Manufactured using acetal copolymers, these sheets have the low coefficient of friction and good wear properties, owing to which demanded slide ways, gears & pulleys, printing machines, food industry and electric components. Our offered sheets are perfect for getting close tolerances as can easily be machined and for commendable dimensional stability. 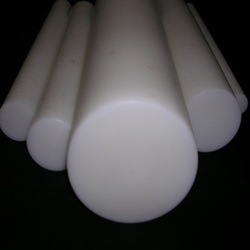 Avail from us a wide range of Polyacetal Rods that is available with is the unique combination of different characteristics. Applicable in engineering components for appliance, electronic, automotive & textile machinery, our offered rods are also used for conveyor chains, sprockets, pulleys, rollers, gears, bushes, washers, and seals. These rods are known for their features like high tensile strength, stiffness, impact strength, resistance to moisture and creep resistance. 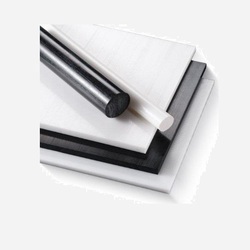 Looking for Polyacetal Sheets and Rods ?